*4cm has fallen in the last 24 hours in Niseko. At 6:45 today the temperature was -4°C. I strong cold front has arrived pulling in cold air from the north!! Conditions will be lots out there today and much improved. Fresh tracks will be up for grabs. 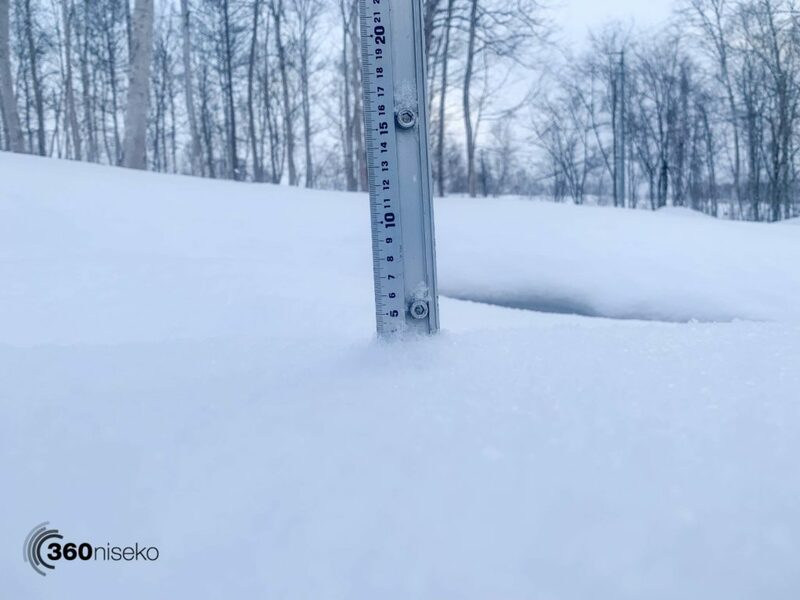 It will be a cold one out there with a top temperature of -2 forecast for Kutchan. 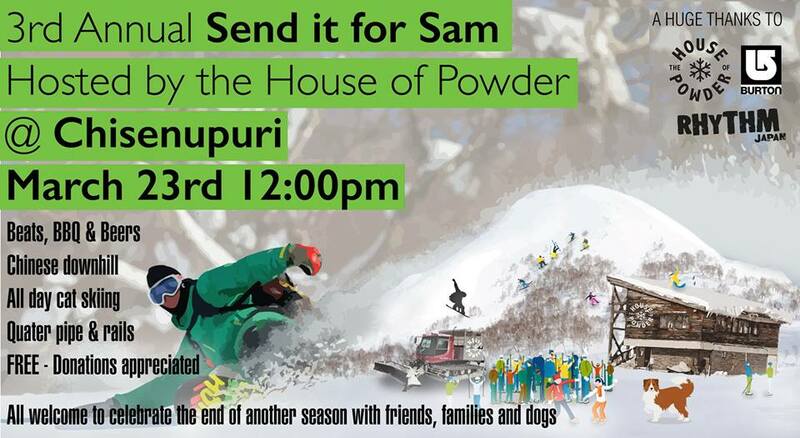 If you have free time make sure you head up to Chisenupuri and Send it for Sam…or just hang out and BBQ and enjoy the party 🙂 Cat-skiing from 10:00 BBQ from 12:00 BYO drinks and food but there will be some food and drinks available from Green Farm Cafe’.